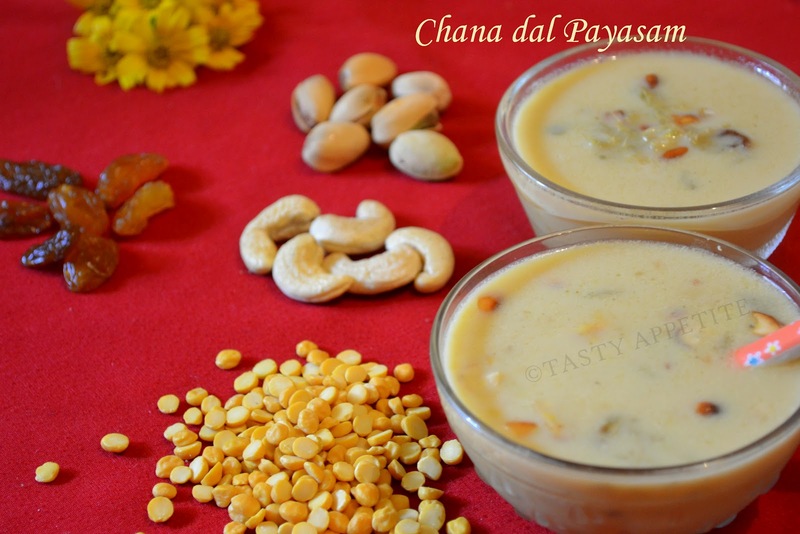 Chana Dal Payasam / kheer is yet another exotic payasam recipe, that tastes delicious & unique...! It is commonly prepared in South Indian households during poojas, festivals & family functions. Yesterday, we made this interesting dessert as prasadam / offering for Thai Poosam festival..! This occasion falls on the Poosam Natchathiram on the full moon day of the month of Thai. In this auspicious day, special prayers are offered at Murugan & Amman temples. The star ingredient of this payasam is bengal gram dal. We know bengal gram is very high in protein & very low in glyceminc index. This payasam tastes bit different & so yummy from the other payasam varieties as we use jaggery & coconut milk in it. Try this yummy dessert recipe & delight your kids..! Wash and soak chana dal / bengal gram in water for about 30 mins. Add water and grind in mixer to smooth paste. Strain thick coconut milk out of it. Now cook soaked chana dal in pressure cooker , till it becomes soft. Smash it and add jaggery. Keep the flame in medium and stir until the jaggery melts and blends well. Now pour the coconut milk on it and keep cooking, till it turns thick. Add ghee roasted golden cashew nuts and raisins. Also sprinkle cardamom pwd on it and blend well. Transfer to serving cups with grated almonds and pistachios on top of the payasam for garnishing. Serve warm or refrigerate until chilled. It tastes lipsmacking both warm and chilled. I love dal, I really love dal. Your dal looks so yummy and nice. Looks really yumm., haven't had this payasam, on my try out list.. Delicious and yummy looking payasam. rhombha naana irruke jay :) reminded of my mom now! paysam looks yumm and delicious..
Tasty payasam,love it any time. Payasam looks yummmmmmmmmmmmmmmmy, delicious jay!! never tried with chana dal...payasam looks very creamy and yummy...nice presentation! Nicely presented and looks so good !! All creamy and yummy !! I appreciate your valued comments & suggestions..
yummy one..looks tempting and delicious. looks amazing jay! lovely pics! payasam which is rich is protein and healthy !!! looks soo tempting.. I use to make this in little different way.looks delicious. Our landlady makes this and I just love this one so much. I asked her several times about the recipe but could never write it down. I'm so glad I found it here. Thank u so much for this. This looks ultimate and I know the taste is just 'wow'! Hello Jay! Thank you for stopping by my blog. May I ask, what is chana dal? Really like this, it looks goood! Parece ser delicioso e muito rico em fibras, adorei a sugestão!!!! Tenha um Perfeito e Abençoado dia!!! 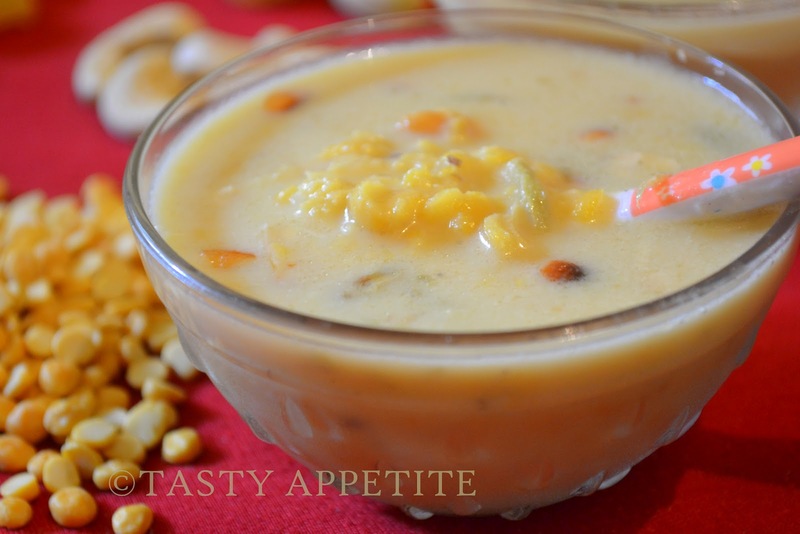 I have never tried chana dal payasam but now I can't resist trying this awesome dessert! Great sharing dear! 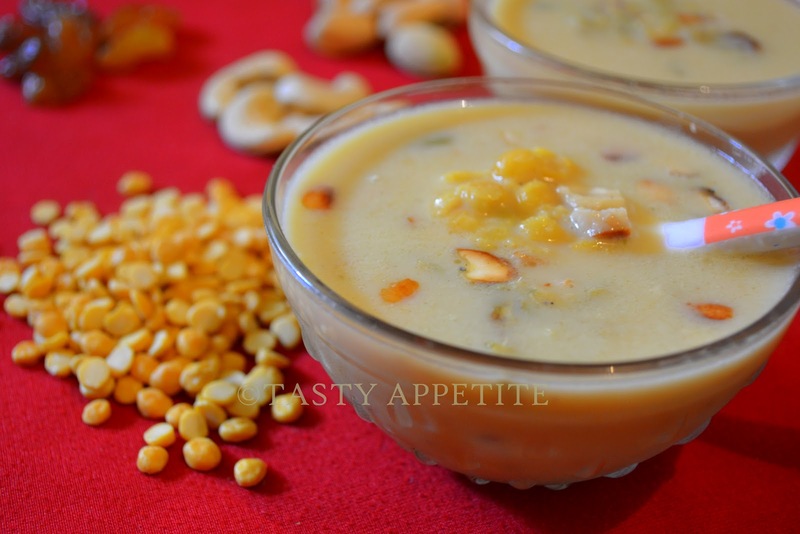 mouth watering payasam !! looks wonderful !! Looks delicious and yummy. Jaggery makes a wonderful ingredient into this sweet dessert. Yes, absolutely love the channa dal payasam. The pictures are so good. awesome presentation..n i loved it absolutely..
Hola Jay. Un postre exótico, algunos ingredientes si los conozco pero otros no y dudo que por aquí los haya. De lo que si estoy seguro es de que tiene que estar delicioso. Me hubiera gustado tomar una taza como la que presentas. Hubiera sido feliz. That looks really delicious, lovely presentation:) Thanks for sharing this great recipe. Buff, algunos ingredientes son muy novedosos para mi. Pero esto tiene que estar impresionante. Happy thai poosam! may Lord Muruga bless you the best of everything! Awesome, love payasams and your prasadam looks tempting! Your fabulous food is just going to make dieting difficult for me. Well, what the heck, I'm gonna try them all!! have a good weekend Jay! Drool-worthy Milk - Jaggery Dessert.Yumm! Such a nice blog Jay, will definitely come back, saw a few recipes I would love to try. Chana dal payasam is a favorite at home, an apt reminder that I should post some sweets on my blog :-). Thank you SO much for your sweet comments..
i wanna taste that again. i love dal. 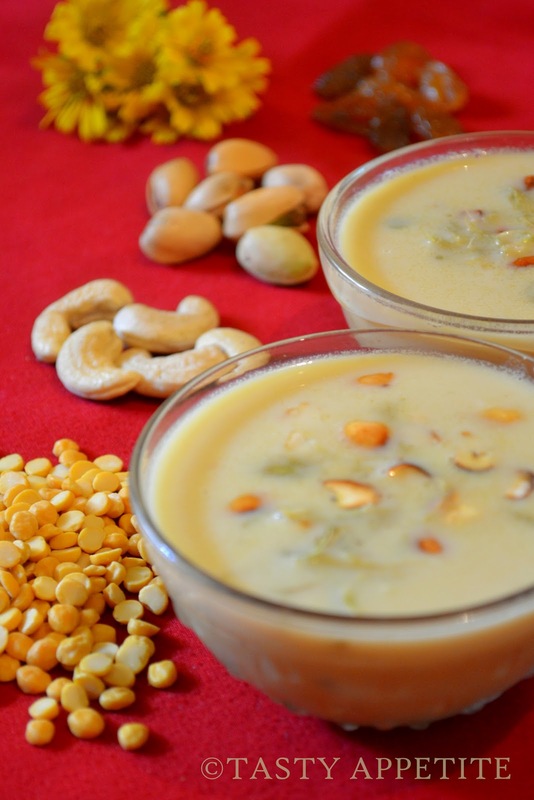 Just mouth-watering...payasam is one of my favs anytime....looks delicious! Oh, the Indian festival is here! That reminds me :) What a wonderful dish, Jay! I have some chana dal lying around. I might try making this because it sounds so yummy! This is one of my favorite Jay, I love yours. This looks like a creamy tasty pudding. Nice delicious payasam to celebrate thai poosam festival with. Sluurp. Droooling . Love this one.